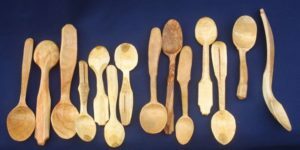 My name is Mira and I have been wanting to learn spoon carving for 4 years now. I just today came upon your classes in Portland, at the Nana Cardoon center. Unfortunately, your next class on August 15th is one I cannot come to. I am wondering if there will be any in the near future that I can attend? I’m also interested in attending a spoon carving workshop in the near future and might have a friend to bring along, too. Do you have other workshops planned other then 8/15? Thanks. Spoon Carving, 2016! Please see the post here. I too would LOVE to take a spoon carving class, along with my friend. Do you have another upcoming class in the Portland area?